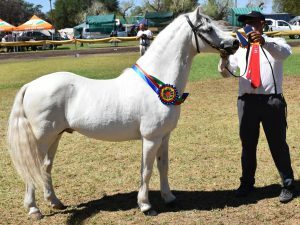 We are indeed fortunate that Gwyn Jones of the Fronarth Stud has agreed to be our Breed judge for the In-Hand classes at the Gold Medal Show to be held in Tulbagh from Wednesday, 28 September to Saturday, 1 October, 2016. He will also be the judge for the Foundation Stock and will be one of the Harness judges. We look forward to a large turn-out of ponies in the In-Hand as well as the Harness classes. Our Harness classes are legend in the UK – we must not let Gwyn down. Members are reminded to apply for their new Passports in good time to ensure that they are able to return home after the show.